The fifteenth Aubrey-Maturin novel in which Jack finds himself re-united with the Surprise, but dangerously out of touch with his crew. 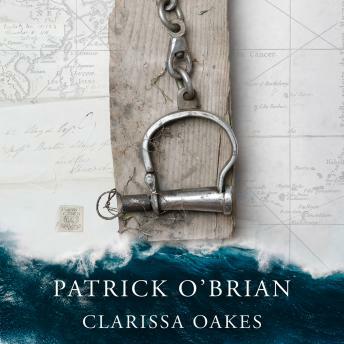 All the elements that have made Patrick O'Brian's astonishing series one of the most highly praised works in contemporary fiction are here in Clarissa Oakes - the narrative grip, the impeccable ear for dialogue, the humour and the unsurpassed capacity to create and recreate a rich and true friendship between two men in the late eighteenth-century. Captain Jack Aubrey sails away from the hated Australian prison colonies in his favourite vessel the Surprise, pondering on middle age and sexual frustration. He soon becomes aware that he is out of touch with the mood of his ship: to his astonishment he finds that in spite of a lifetime's experience he does not know what the foremost hands or even his own officers are thinking. They know, as he does not, that the Surprise has a stranger aboard: and what they, for their part, do not know is that the stranger is potentially as dangerous as a light in the powder magazine itself.